Tree removal is not a service we like to emphasize, but it is a very necessary part of arboriculture and one that Bartlett executes professionally and safely. 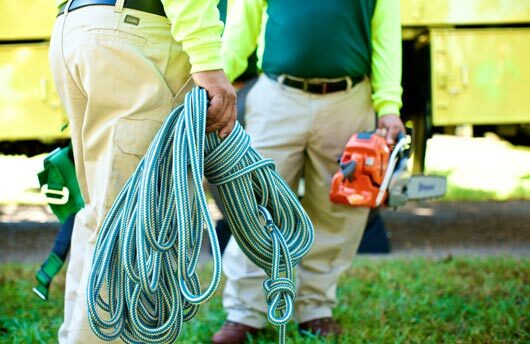 Our goal is, and has always been, to provide services that keep trees healthy, but there are instances when removal is the best alternative for the landscape and homeowner. Tree removal is the most hazardous aspect of arboriculture. Often, tree workers must remove trees growing in confined spaces near houses, utility lines and other sensitive areas. Tree removal requires considerable expertise to successfully perform this task. 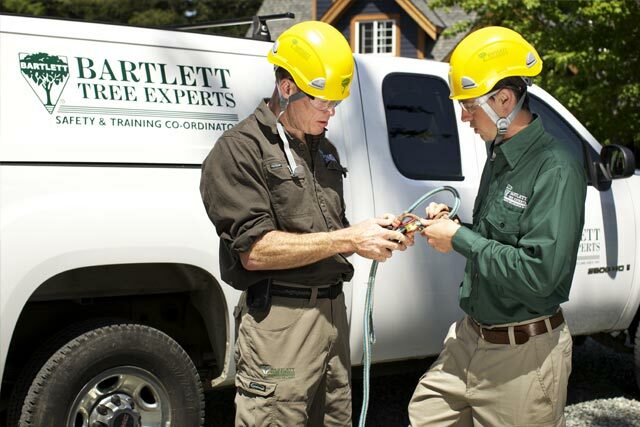 At Bartlett Tree Experts, our arborists are highly trained to work safely and efficiently in all tree removals. We provide thorough clean up of debris and strive to minimize the impact to surrounding vegetation. 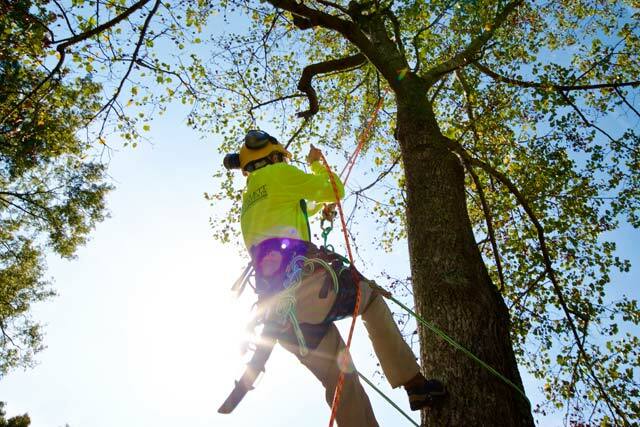 We employ regional Safety and Training Coordinators who evaluate and train arborists on the latest tools and techniques for performing tree work. In recent years, there have been considerable advances in the technology and equipment for safely and efficiently removing large trees. Find out more about our leadership in safety. The work of an arborist is to maintain the health and beauty of trees. Occasionally, however, circumstances are such that a tree needs to be taken down. Watch a video to find out more about the process of removing a tree.